At around 11.30am on Sunday 21st September 1969, a slightly-built Chief Inspector convinced the hippies inside the squat at 144 Piccadilly to lower an improvised wooden drawbridge so the police could help a seriously ill person inside. The drawbridge came down and Chief Inspector Michael Rowling flung himself bravely across the barricaded opening to establish a bridgehead. It was an old trick, no doubt played out a thousand times back in the (medieval) day, and sure enough a police-whistle shrilled and seemingly from everywhere a hundred policemen charged over the drawbridge, drawing their truncheons as they got in through the door. Unfortunately they trampled all over the Chief Inspector in the process. 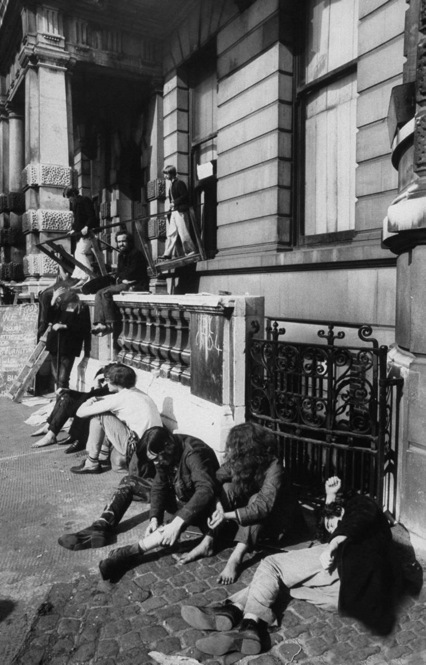 The raiding policemen had to brave slates, water filled bowls, bricks and one petrol bomb raining down upon them but it was only four minutes after the police charged in, a policeman was seen at the top of the mansion raising his truncheon in triumph. 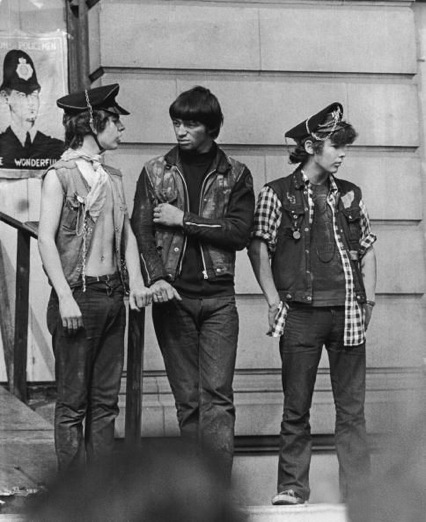 Not long after and to cheers for the thousands of onlookers on the street below, the Hells Angel’s flag was lowered from the flagpole. The nice round number of exactly one hundred people were taken to custody with twenty-seven adults and three juveniles arrested for offences ranging from assault to drug possession. There were no bad casualties although many of the occupants complained of being beaten by the Police (no video phones or palm-corders in those days). 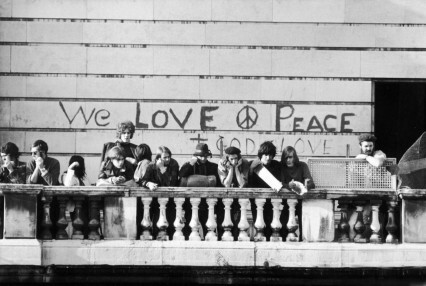 The occupation of Hippydilly was over, just three weeks after it had begun. 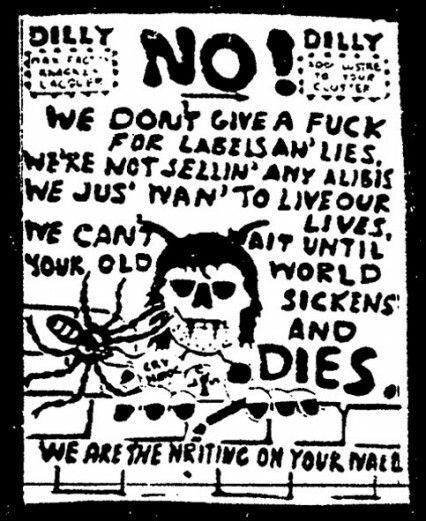 "We don't want to split the scene, man." This is far out, man. Do you think I can fly dude. ‘Lit only by the dim light of their drugged cigarettes’. 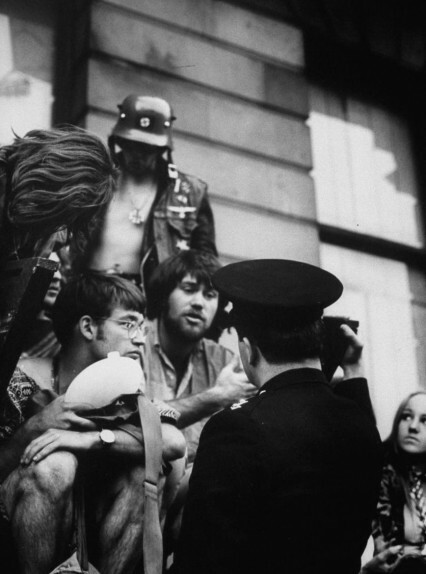 While the People had declared under the headline – HIPPIES – DRUGS – THE SORDID TRUTH! 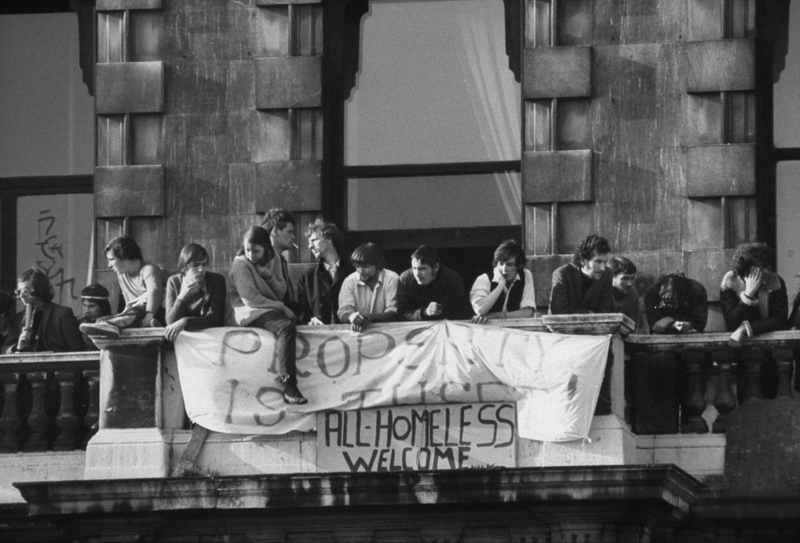 The squatters at 144 were originally organised by a group of young people who called themselves The London Street Commune and led by the almost mythical Dr John (he may have been Phil Cohen who was part of the anarchist group King Mob). The organisation had been created to help find somewhere for hundreds of hippies that were sleeping rough in London’s parks to stay overnight. 144 Piccadilly, an empty five-storey disused mansion at Hyde Park corner seemed an ideal place to set up a communal squat. 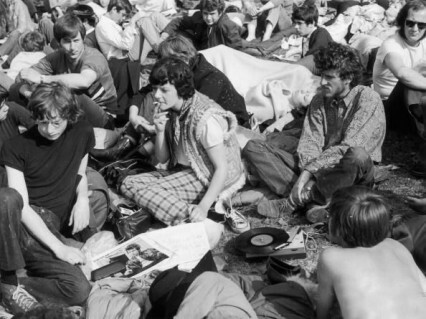 A bored hippy bemoaning the lack of facilities and furniture: "I think I'll crash on the floor, man." "I think I'm gonna blow this place, man. I've lost my shoes." 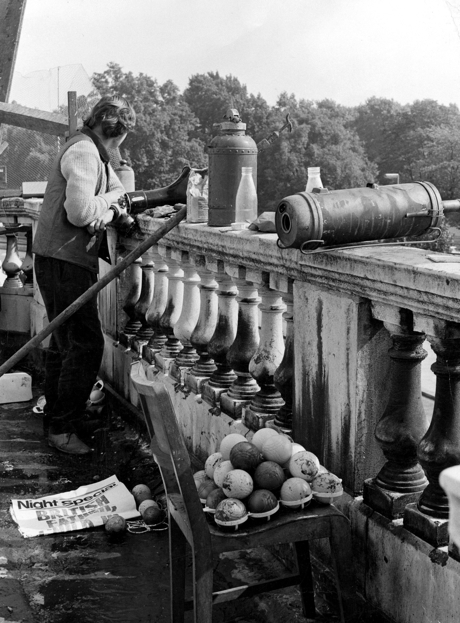 At one point during the siege some media-incited skinheads (then as now the tabloids were skilful at contriving stories) turned up in the night to shoot air-guns at the squatters. They must have been so shocked and surprised when suddenly hundreds of incongruous water-filled carpet boules, thousands of which had been stored in the empty building prior to the take-over, started raining down upon their shaven heads. 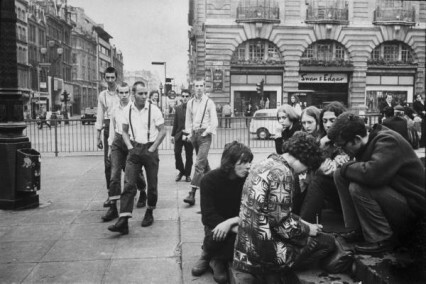 Skinheads had started to become more and more popular as a sort of tough working class alternative to to the ‘love and peace, man’ image of the middle-class hippies. 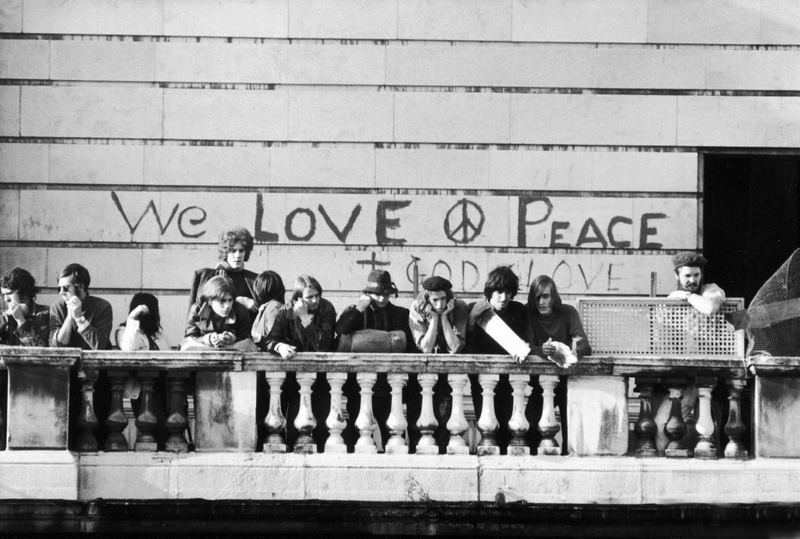 The heavy carpet boules thrown by the hippies from several storeys high (while underneath a graffitied sign saying ‘We Love Peace’) easily defeated the skinheads and their air-guns. The skinheads attempt to invade the squat was quickly over. We Love Peace, man, unless skinheads are involved. Water-filled carpet boules. Deadly weapons. 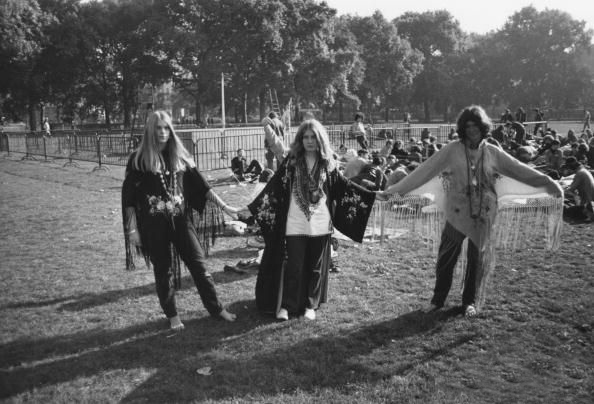 On the 20th September (the day before the police raid on the squad) there was a free festival at Hyde Park. It was the third of free festivals in the park that summer and admittedly the one that has been forgotten (the first featured the super group Blind Faith and the second was the famous Stones performance after the death of Brian Jones). 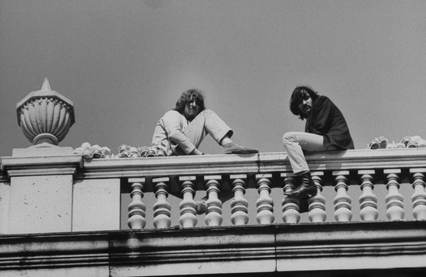 The third festival featured Soft Machine, the Deviants, Quintessence, Al Stewart and the Edgar Broughton Band who as usual finished with their fans favourite ‘Out Demons Out’. 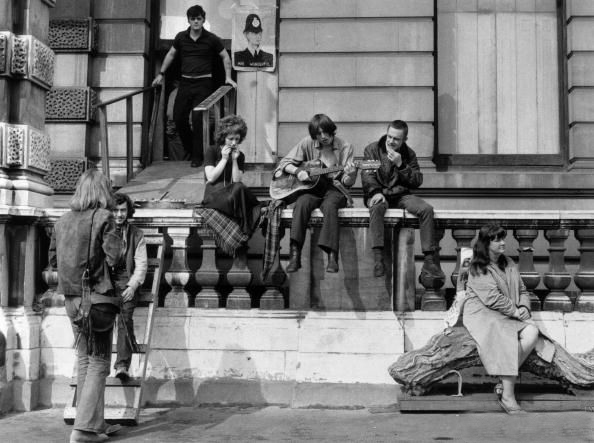 Many of the visitors to the Hyde Park concert would have come from out of town and many of them went to visit 144 Piccadilly which had been extensively in the news by that time. 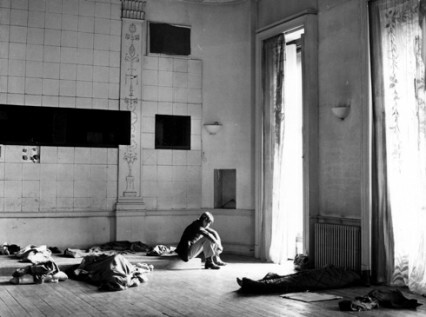 Many of them must have tried to stay the night there, not having anywhere else to stay, and must have unfortunately been caught up in the raid the next day. When the police raided the squat, after a high court order to leave had been ignored, most of the onlookers, many of whom had been there overnight, cheered. 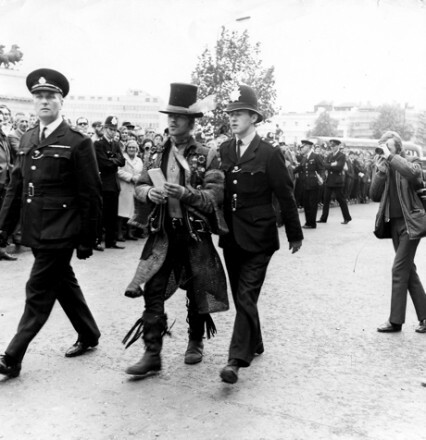 The developer Ronnie Lyons (infamous for inventing the industrial estate) was seen going into West End Central Police Station and donating £1000 to police charities in appreciation of a good job done in getting rid of the hippies from 144 Piccadilly. 144 Piccadilly stayed empty for three more years until it was knocked down, despite being listed, in favour of a huge modern luxury hotel called Hotel Intercontinental Park Lane which still, unfortunately, stands on the corner of Park Lane and Piccadilly today. If you feel like staying there it did have a 63 million pound refit only three years ago. I’m sure its very good value at £329 for their cheapest room. A hippy being escorted from the premises.